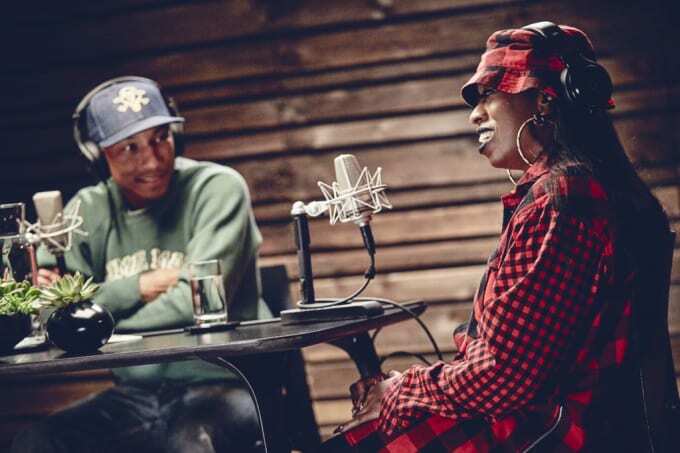 This coming Sunday, Missy Elliott is set to be the guest on Pharrell and Scott Vener&apos;s OTHERtone Beats 1 show. In a few previews clip shared before the official episode, the celebrated rapper opens up about her legacy, as well as working with Puff Daddy and Skateboard P.
Elliott explains that after a period of time when she believed she would work in the background of the music business, writing and producing songs, she got back into the studio with Puffy&apos;s encouragement. The three of them get into Puffy&apos;s influence in the industry, from identifying future superstars to intertwining R&B and rap, making it accessible to mainstream consumers. Missy also touches on her incredible 2015 Super Bowl halftime appearance. Check out the clips below and catch the full episode Sunday, Jan. 10 at 3 p.m. (EST).